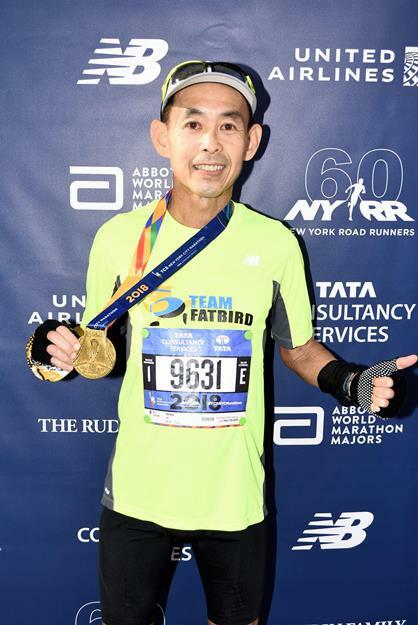 I have never harbored the thought of doing the World Marathon Majors (WMM) – Berlin, Boston, Tokyo, New York, Chicago, London. It was only when I have completed the Boston Marathon in 2016 that planted the seed for my pursuit of this meaningful journey to accomplish the WMM 6-Star accolade. I applied fervently to ballot for the rest of the 5 since I had already completed Boston, but did not have much luck at the ballot (lottery). My 3:18h Marathon at Gold Coast Marathon 2017 finally gave me the opportunity to qualify based on age-group timings for NY, Chicago, London. 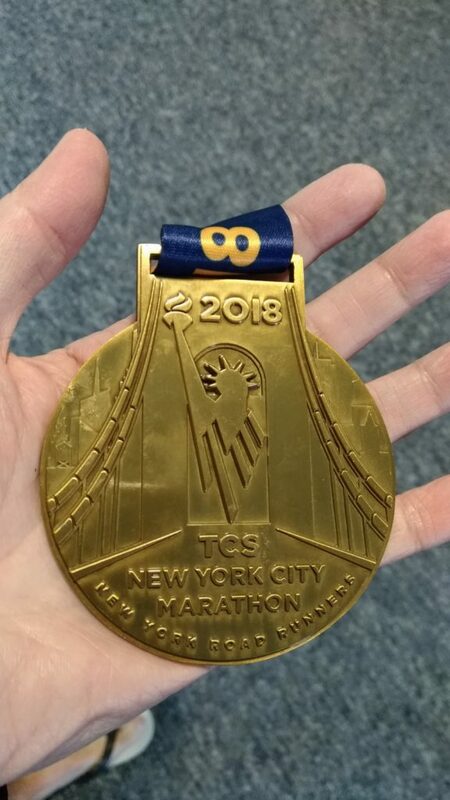 I applied for NYC Marathon and was elated to be given the race slot for 2018. 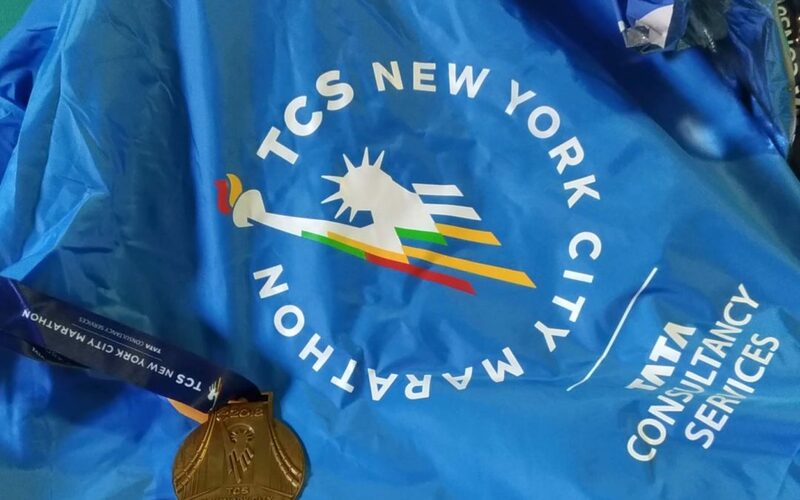 The New York City Marathon is currently the World’s largest Marathon race with more than 50,000 marathoners from countries around the globe participating. 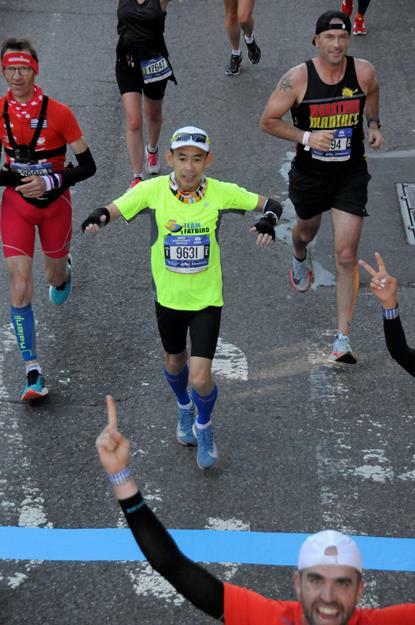 It has a rich history and wonderful story of how the founder Fred Lebow started this magnificent marathon movement in NYC, culminating in this international acclaimed sports event. I did not really prepare much for this race. 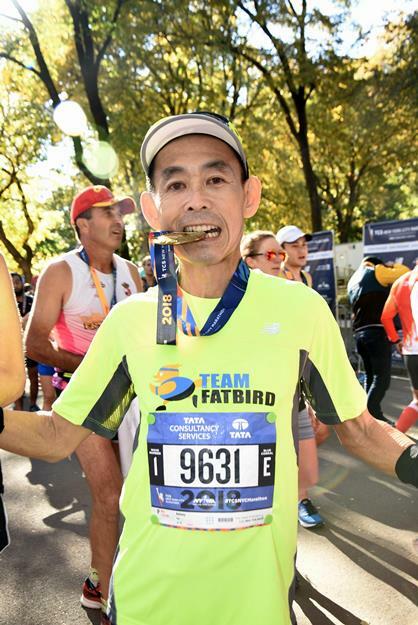 My plan was just to train with the FatBirds for SCSM and take the NYC Marathon as one to enjoy since it was billed to be the toughest of the 6 WMM races, and not one to go for Personal Best (PB) or good timing. 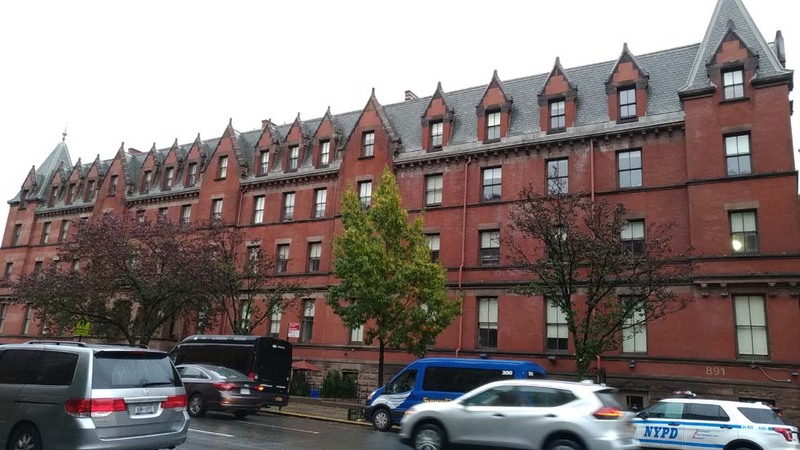 After having a good experience with Hosteling International (HI) in Boston 2018, I once again booked the HI NYC to enjoy the freedom and opportunity to meet international marathoners all in one place. I was not disappointed yet again, for I had a wonderful stay in NYC and got to travel about to all the sights by taking the Metro (Subway). I enjoyed the EVA Air (Taiwan) flight with good meal and entertainment service on board. I arrived to JFK Airport after a 23-hour flight (18 flight time) on Thursday night without much sleep (I have problems with sleeping on flights). By the time I checked into the Hostel, it was Friday 2 am. 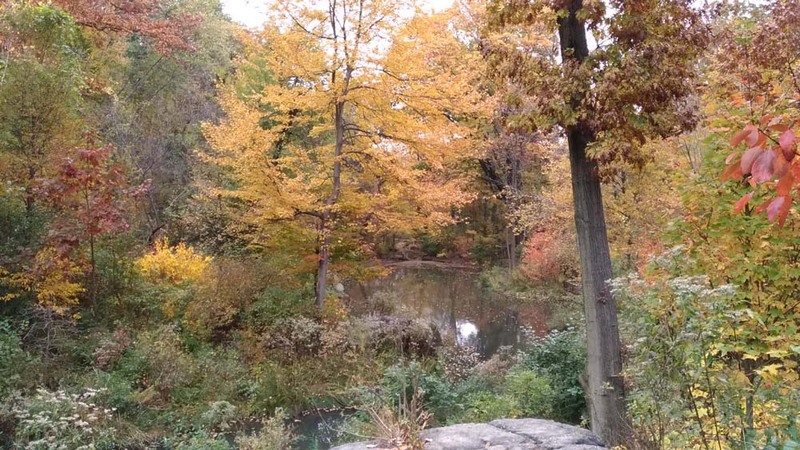 I woke up early after a little shuteye and immediately went to the famous NYC Central Park for a 8 km shakeout run. 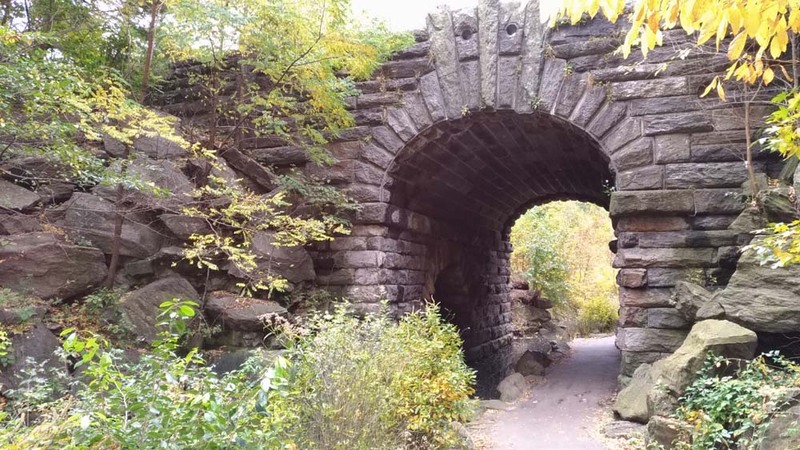 Central Park is a large and beautiful public expanse with many walking, running roads and trails at the centre of Manhattan to encourage active lifestyles for the people of New York City. It has lots of interesting places to visit. There is even a zoo within the Park. It’s that big. 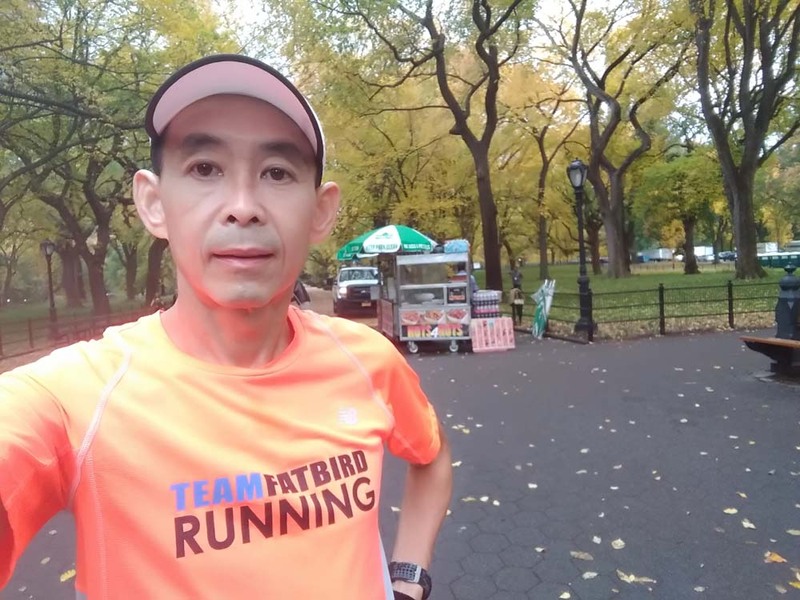 I would be back to run the Central Park for 3 more times – on race day when the NYC Marathon finished at Central Park and two more post-race recovery runs. 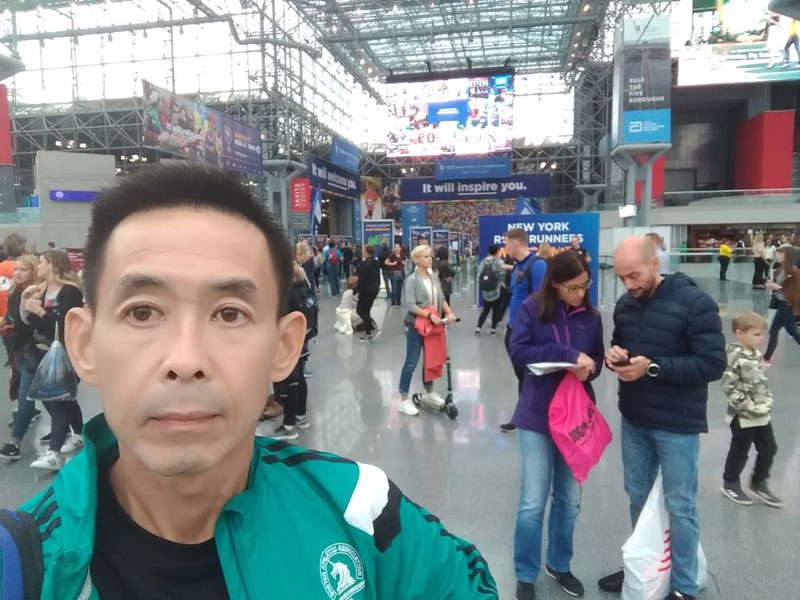 I spent the rest of Friday in the NYC Race Expo at Jacob Javits Convention Centre. The race pack collection was quick and smooth. They even had tee-shirt sizing before we selected our nice event tee when collecting our race bib. 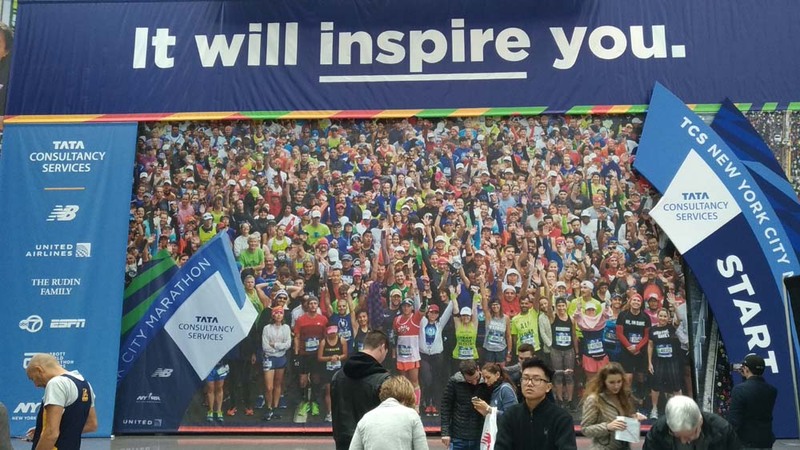 While not as busy as the Boston Marathon Race Expo, the NYC Marathon Race Expo is still large with lots of race day merchandise and products for sampling and purchase. I had an easy Saturday with some walking about at Times Square, World Trade Centre and the Brooklyn Bridge. The rest of the afternoon was centred on grocery shopping, hydrating and fueling up. I prepared my race armour and had an early night. It was the night before that I realized there was Daylight Savings which would require setting the clocks back by an hour, meaning we gained an extra hour of sleep? I woke up very early at about 3 am. I took my time to have the first part of my breakfast, saving half for 7 am closer to my race start at 9:50 am. There were 2 options to the race start on Staten Island (the first Borough) – bus or ferry, both of which would have required me to wake up early at 4 am to reach on time. I picked the bus option and arrived at 6 am to the NY Public Library for a smooth boarding in quite a nice coach (compared with Boston’s school bus option). During the ride to Staten Island, we were treated to some sight-seeing especially crossing the Bridge over to the Island. I had the second half of my breakfast during the 2-hour bus trip. By the time we arrived at Staten Island, going through the security checks, and shooting straight for the lines at the Portaloo, I was left with just 30 min to start time. I was glad there was no long wait for me as earlier thought. The weather was looking great and dry, and if I were have to wait, it would be quite pleasant as well (unlike the dreadful weather conditions at this year’s Boston Marathon start line). I didn’t have time to do any warm-up and entered into the corral full of runners waiting anxiously for the start. There was nary any space to even do simple dynamic drills. In a way, I was going to race ‘cold’. I was assigned to Wave 1 and Corral E based on the timing I submitted during race entry. Somehow, I ended up in Corral A with a lot of runners from other assigned Corrals as well. The Elites were just 50 metres in front. Then came time for the National Anthem, introduction of the Elite field, before the flag off with the song “new York, New York”. 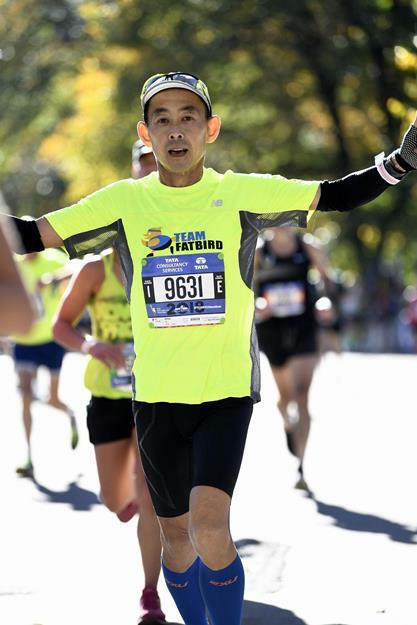 The NYC Marathon prides itself as the largest marathon road race in the World. There were more than 53,000 participants this year, of which 52,000+ of them completed (a 99.4% success rate). The route starts off from Staten Island and runs along through all 5 Boroughs (Staten Island, Manhattan, Brooklyn, Queens, The Bronx). The Boroughs are like small townships. each with a different and distinct flavour about them. 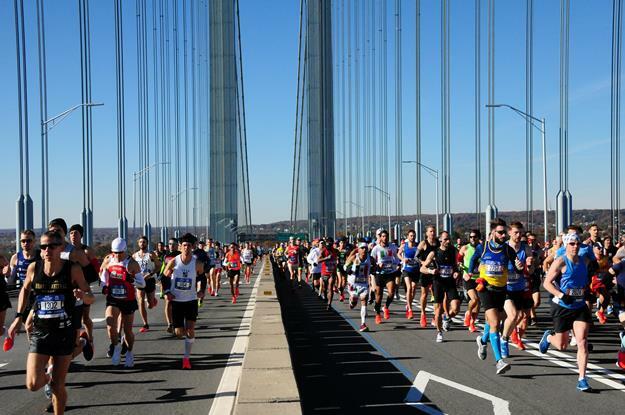 The first km started off with a gradual ascent up the Verrazano Bridge, followed by a descent to cross over to Manhattan. My pace was rather slow for the first km, probably due to the uphill climb, but more so because of my body not warmed up. My legs still felt cold and stiff. The moment we entered Manhattan, the loud cheers started with the huge crowd of supporters, 3-5 rows deep. They were holding large posters and placards, shouting at the top of their voices, singing songs, clapping and even dancing. The atmosphere was electrifying, and the responses from the runners were spontaneous as well. This loud cheering were to go on almost continuously as we transverse the 5 Boroughs, each Borough with their distinctive way of cheering. Almost immediately, we were to run through a few more rolling slopes, which often threw my momentum off especially with the large crowd of runners, some of them slowing to almost a walk on uphills and drinks stations. This was the most crowded marathon race I have participated in, with runners almost shoulder to shoulder throughout most of the run (all the way till the end). After 3-4 km, I managed to settle into a 4:50 min/km pace. After running for about 8km, it dawned on me there were lots of rolling slopes in this course – not very steep, but it does take a toll on you. It drained off my energy gradually as I tackle each of them with limited energy resources. Along the way, I could hear conversations from experienced runners that there were to be more surprises ahead. I decided to play it safe and not push for any goal pace, but rather run by effort and feeling. I took an electrolyte tab at the 15km mark as planned. Although I did not feel thirsty, I continued to execute my hydration plan taking in small amounts of isotonic plus water at every hydration station. I was enjoying the hearty support and cheers from the crowd, and soaked in the different sights of each neighbourhood. I reached the 10km mark in about 49min. A way off 3:25h pace, but very comfortable for a 3:30h finish. Another feature of the course is the roads with its many metal plates and some potholes which we have to gingerly manoeuvre. I was following the blue line, which ran close to many of these round covered holes. I found myself side-stepping these ‘mini obstacles’ in addition to getting my way around the thick crowd of runners. Time and distance seemed to pass quickly as I was soaking in the atmosphere and enjoying the cheers of the crowd. I was feeling comfortable, watching my running form, and ensuring I did not kick any of the obstacles and fall. I reached the HM mark in about 1h43min. As per my fuel plan, I took in a Gu gel at the 22km mark. I took in another electrolyte tab at the 25km mark and grabbed a Gu gel distributed at the 29km mark. The hydration support were ample and generous, with Gatorade and water stations on both sides of the course every 2km of the way. However, because of the large crowd of runners, it often took me a longer time to reach to one of the volunteers holding out the cups. There were 2-3 stations where I missed the isotonic drinks because of someone taking too long to grab the drink. More rolling hills ensued until we reached The Bronx. It seemed that the neighbourhood is smaller here and we had to take quite a few turns running about this Borough. I was still feeling good at this point, with nothing acting up. I made sure to stick to my fuel plan to ensure I have sufficient energy to maintain a strong final 10 km. I took my final electrolyte tab at the 20mile/32km mark. Somewhere around the 36 km stretch, I saw the 3:25h Pacers running forward, in an apparent bid to make up for some lost time. 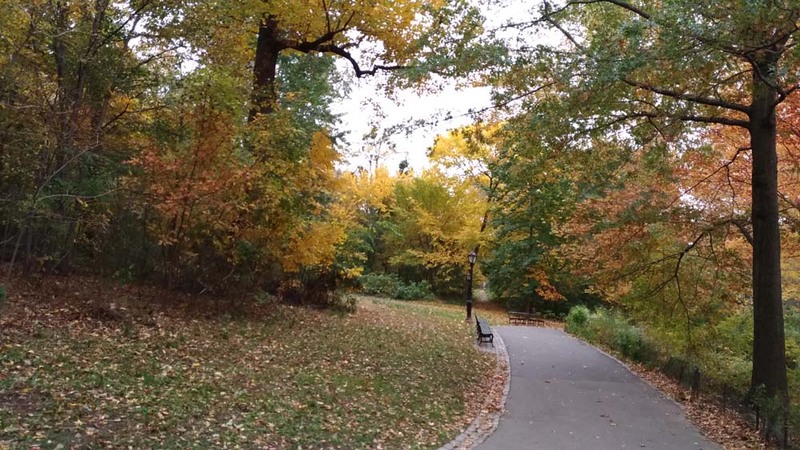 Then it was down to 5km as entered the beautiful rows of trees flanking both sides of Central Park. The crowds were huge here, shouting themselves coarse to encourage the runners along the final stretch of their race. I consumed one more gel for the final push to the finish line. It perked me up to run faster and aimed to chase the 3:25h Pacers down. All the runners around me were running strong, engaged in a mini race of sorts, not wanting to fall behind to anyone. We pushed and motivated one another to keep the pace, although many would be suffering from fatigue and pain at that point of the race. The crowds just grew louder and louder as we neared the finish. With 2 km to go, I pushed the pace further and even raced a few runners through that stretch. I felt some tingle at my toes, but otherwise was not experiencing any onset of major cramps or hitting the wall. Running conservatively in the earlier parts of the race have allowed me to save some for the last. I don’t recall being overtaken by anyone in the final km. 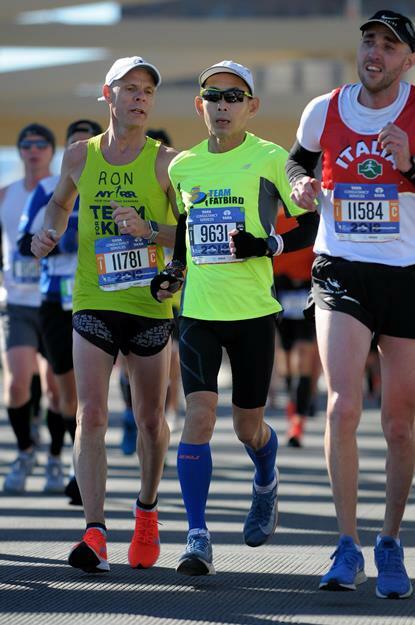 I romped home to a strong finish in 3:28:06. Not my Personal Best (PB) by some ways, but one of the more satisfying marathon completion I’ve had in years. I also Boston-Qualify (BQ) for 2020’s revised requirements with this timing by almost a 7 min buffer. We continued our walk immediately after we crossed the finish line to collect our beautiful and well-earned finished medal. Photographers were on hand to capture the victorious moments. A heat sheet was draped around the runners to keep us warm. As we continued our recovery walk, a nice goodie back of recovery products (Isotonic drinks, protein milk shake, protein bars, salted pretzels, apple) were distributed. I immediately consumed the nice chocolate milk as I proceeded along the line to collect the post-race poncho (this specially designed and thick poncho are for those who chose not to have baggage deposit, and are meant to keep them warm since they have no change of dry clothes available on hand). I was glad I took this option as the post-race poncho was thick and very well made. The weather was still sunny and nice as I took my recovery walk of about 2 km back to my Hostel. Along the way, many passer-bys congratulated me spontaneously upon seeing the finisher poncho. 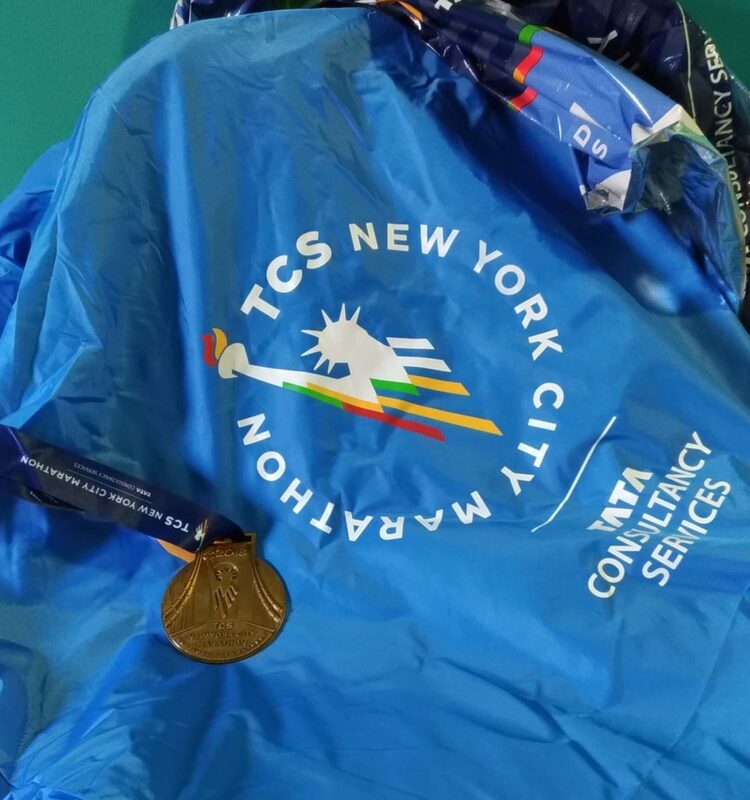 It was quite a nice and warm gesture from all residents of New York City, who were so supportive and understanding of this major sporting event which has put New York City in the spotlight every year. I had little to no aches and delayed onset of muscle soreness (DOMS) after this race. This is one of the rare occasions I felt little soreness after a marathon. 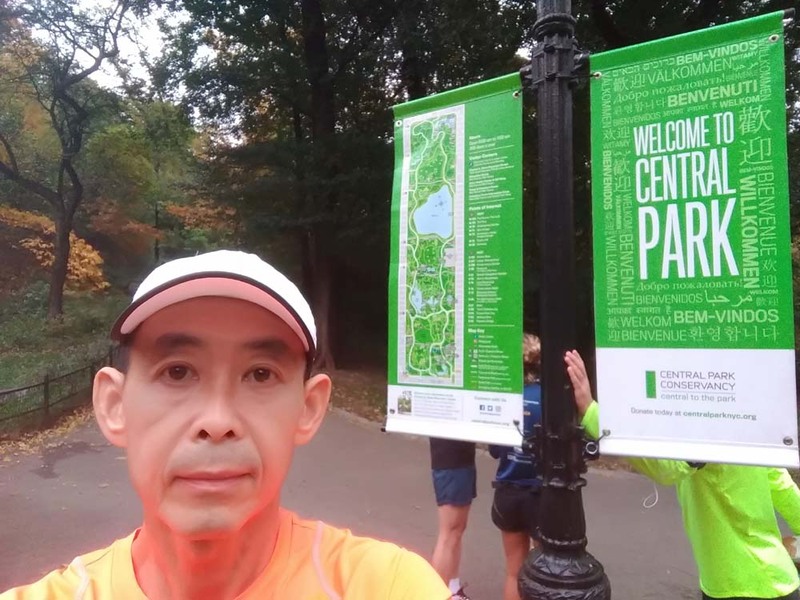 I went for a 10 km recovery jog around beautiful Central Park and only stopped short because of the light showers that started. As I ran back to Hostel, I was grateful that the showers and thunderstorms did not happen on Sunday, but would only come after the race was over. 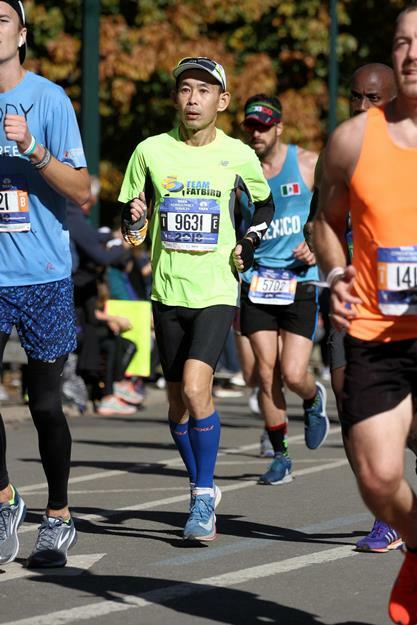 Of the more than 30 marathon races I have participated in, the NYC Marathon is easily one of the best marathon race experiences I have encountered. The myriad of rolling hills makes it both an interesting and worthy challenge to any marathoner. 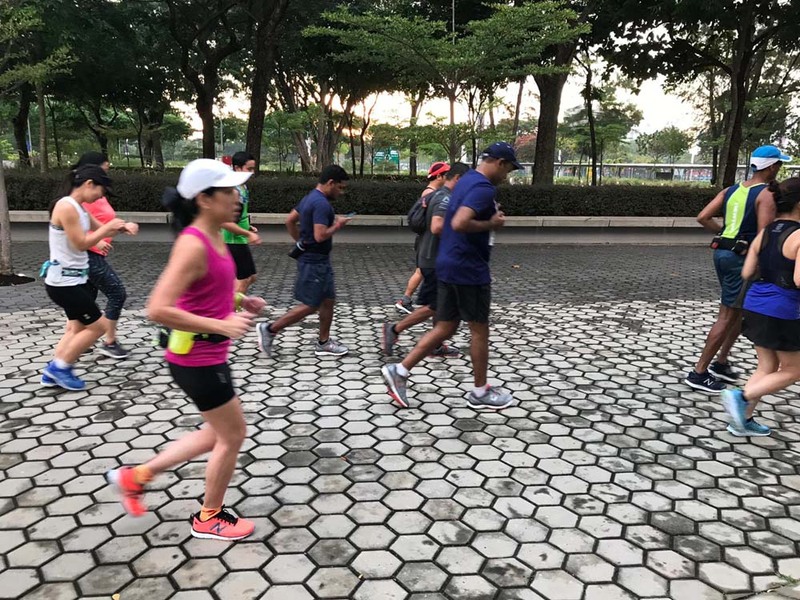 The sheer number of runners participating will ensure that we need to be patient and tactical when finding space to run freely. It has the loudest and most electrifying crowd support I have encountered, with cheers ringing throughout the entire 42.2km. 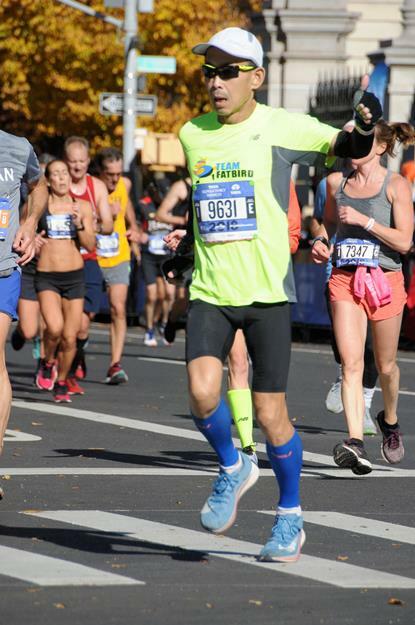 Running through all 5 Boroughs from Staten Island through to Manhattan was certainly an epic way to sight-see the main parts of New York City and experience the hospitality and warmth of her people for the sport of Marathoning. 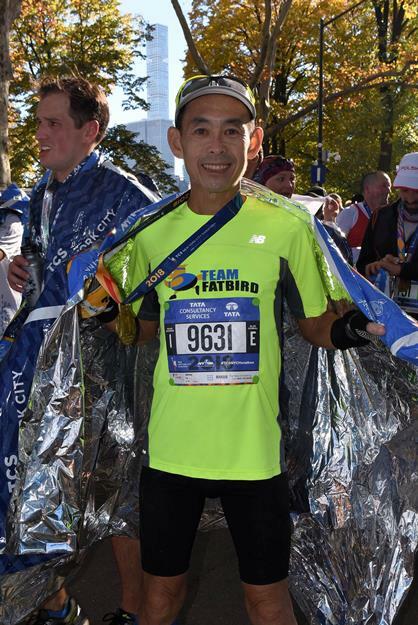 Although I did not score any PB, I thoroughly enjoyed the whole NYC Marathon experience. 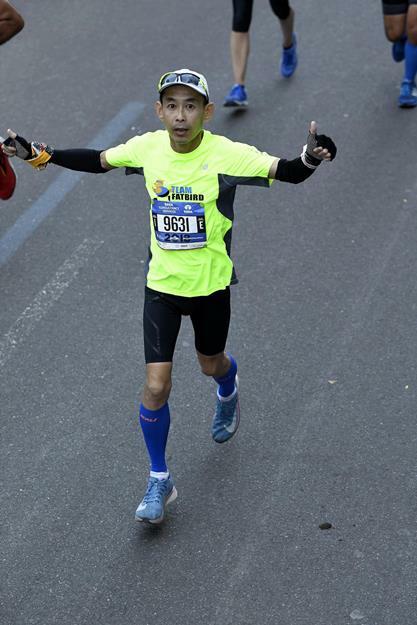 I would encourage any serious runner or otherwise to run The NYC Marathon at least once. 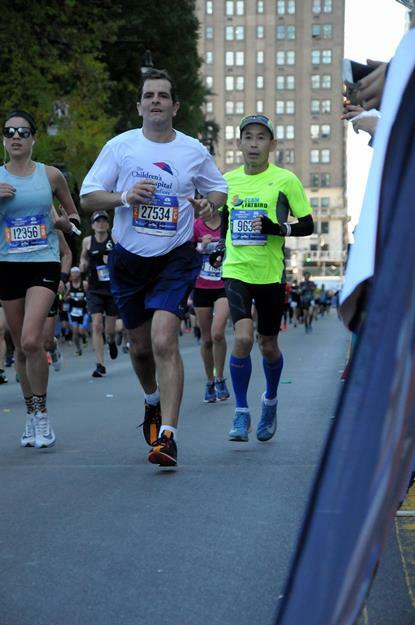 If it was not such a long prohibiting trip for me, I would gladly return to run the NYC Marathon a few more times. Operation Sunbird 2018 has progressed into the 2nd half of the structured training program with long tempo/cruise intervals of 28-30km at Marathon Pace. With the BaseBuild phase of building a firm foundation, the Sunbird trainees were able to hit the training targets of their long run progression with good results. Hydration and nutrition pre-training, in-training and post-training are the emphasis at this stage to get their race day fueling plans tested and sorted out. The Sunbirds went through 2 hard sessions of cruise intervals at 28km (Mt. Faber) and 30km (Sports Hub) at Marathon Pace over the past 2 weekends. 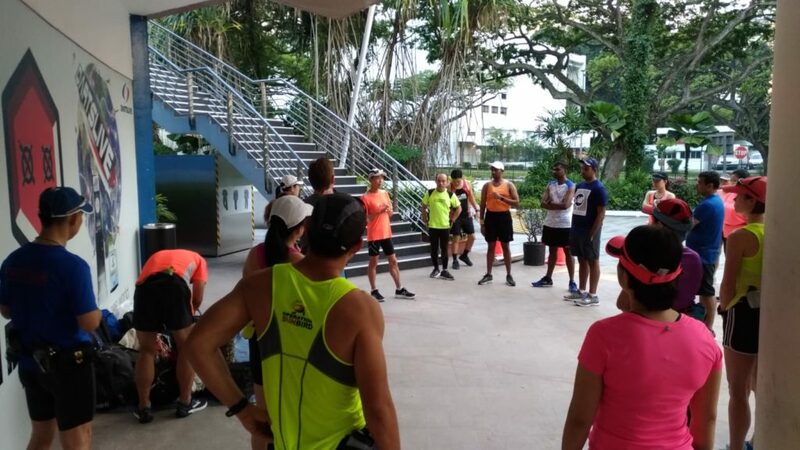 These sessions served as progression to develop their aerobic and speed endurance for the Half and Marathon distances. 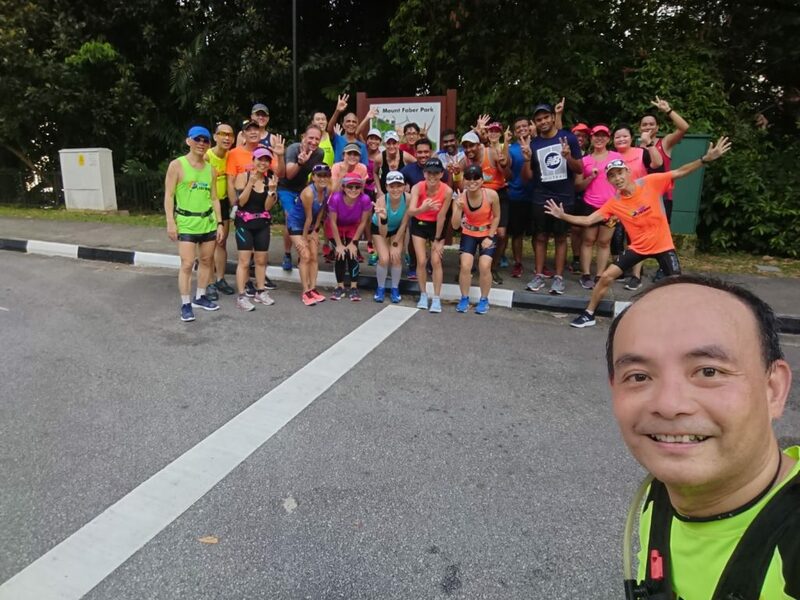 The purpose of these long runs were to condition the runners for the heat and humidity, as well as to delay fatigue leading to the onset of cramping and ‘hitting the wall’. 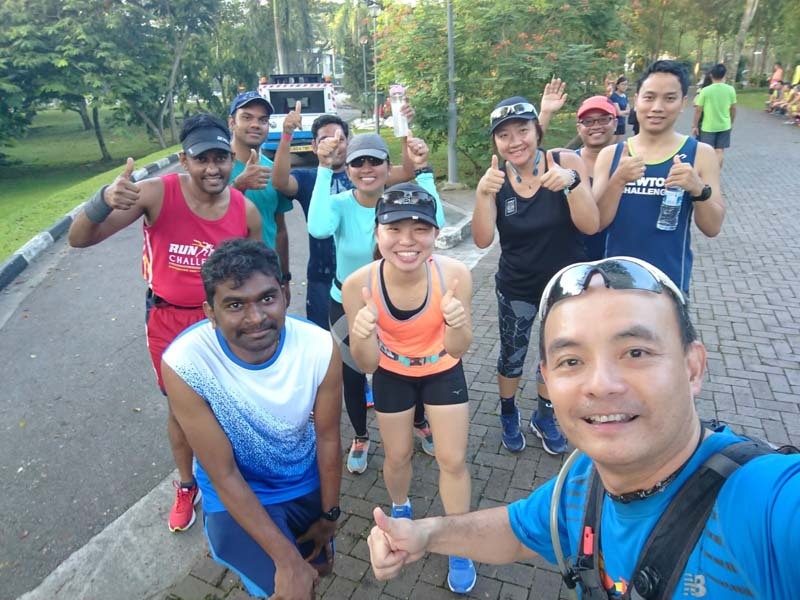 With the successful completion of the past 2 long runs, albeit with thresholds being breached at some point of the later stages of the workouts, the Sunbirds have come away with better understanding of their pace and efforts to manage a sustainable speed to be able to complete a marathon without breaking down. 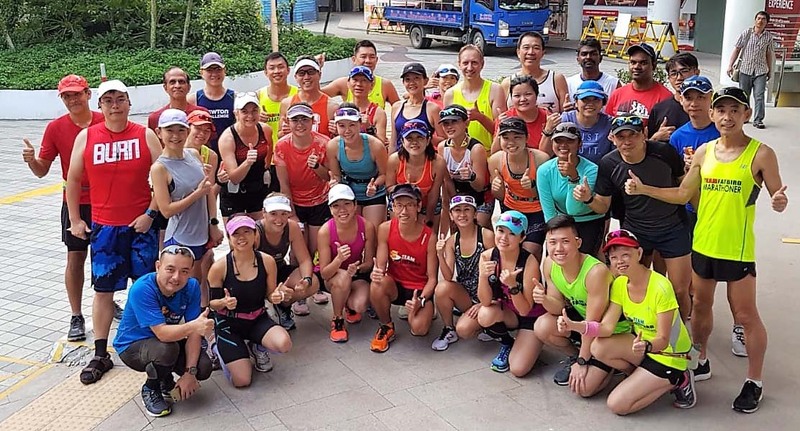 The Sunbird trainers have played an instrumental role in all these weeks to guide and advise the trainees on their training requirements as well and provide tips and experiences on how to overcome the many challenges faced by marathoners hoping to complete strong and compete for performance targets. With 5 weeks remaining to SCSM race day, the Sunbirds will go into their longest runs yet in the program for another 2-3 weeks before entering the Tapering phase. Optimal Pace running will also be injected into the training as the Sunbirds fulfil their requirements for good paced running at Marathon Pace for 70-80% of their marathon (Half/Full) distances. 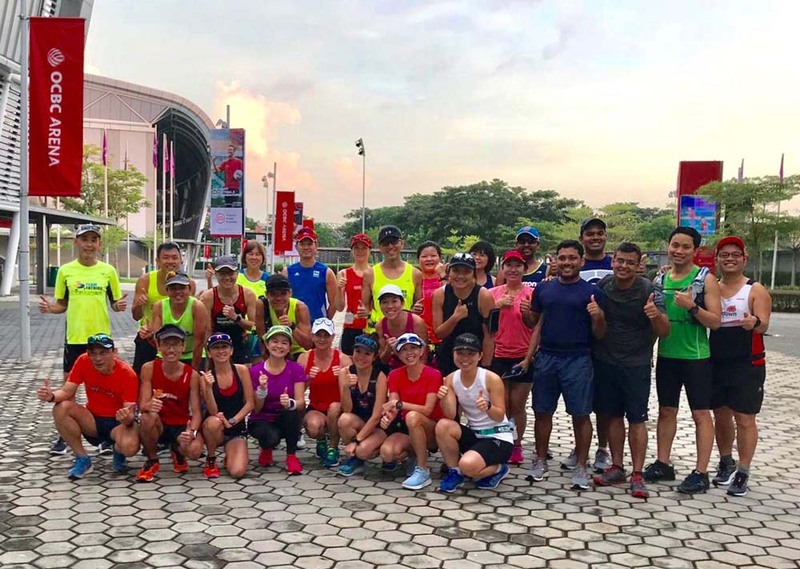 All runners training for SCSM18, NYC Marathon, OSAKA, Kyoto, Seoul, Taipei Marathons, including those looking to manage their weight and get into racing weight and shape are encouraged to join our tried and tested marathon training program. The Sunbirds Progress Into The Intensity Phase! 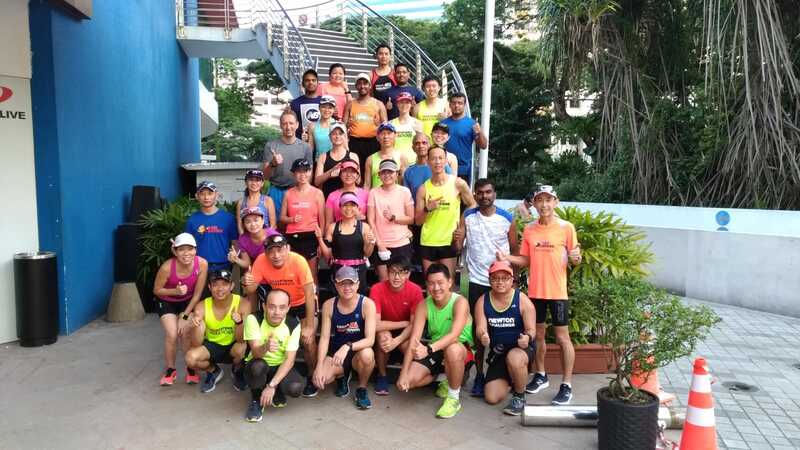 After a good 4 weeks of base building at Operation Sunbird 2018, Team FatBird‘s 12-week marathon training program for Standard Chartered Singapore Marathon (SCSM), The Sunbirds moved into week #5 with a lower-mileage week but with increased intensity to Marathon Pace. 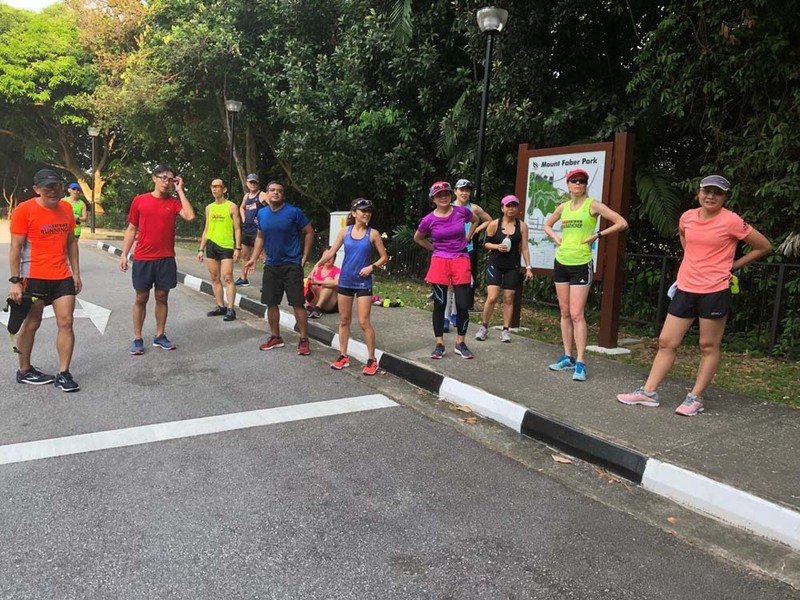 Because of the wet weather and raindown islandwide, the scheduled long run trail workout at MacRitchie Reservoir was modified to go by the roads instead of the muddy trail terrain (to avoid any unwanted slippages and injuries). As most of our Sunbird ladies were at the Great Eastern Women’s Run (GEWR), the turnout was trimmer but not in anyway less enthusiastic about the training. Although the roads were wet and made for more difficult traction and grounding, the light drizzle provided excellent cooling weather to Sunbirds throughout the long run along the Reservoir enclaves. There were little issues to the Sunbirds transition from a Basebuild Pace to a faster Marathon Pace for the 12km for HMers and 21km for FMers. 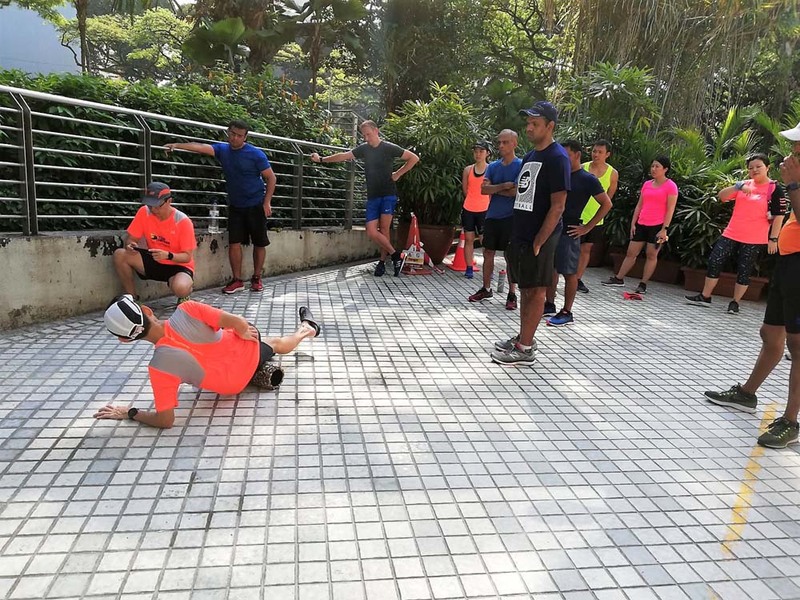 A number of the Group 4 trainees even extended their longest distances ran, although not without some niggling feedback in their legs after the workout – an important lesson on not going too fast on the volume/mileage without a good base being built. The MR and Peirce Reservoir rolling hills provided good training stimulus to build leg strength, so essential for improving the Sunbird’s speed endurance for marathon races. 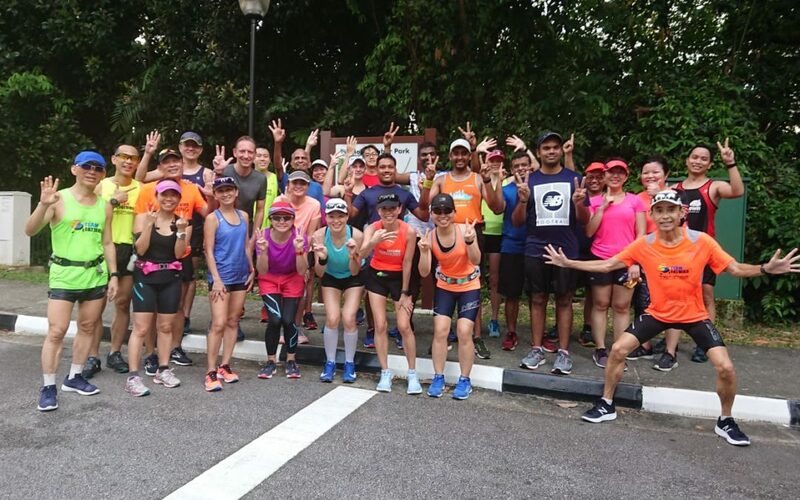 Training concluded at 10.30am with a very slight drizzle and a flock of happy and satisfied Sunbirds who were grateful they turned up for a fruitful and enjoyable workout. As it were, we received great news of our Sunbirds scoring many Personal Bests and solid run timings at the GEWR later that morning. We will welcome back the Sunbirds to Week #6 of training where we will breach the 30km distance with the aid of cruise/tempo intervals. The Sunbirds Transitioned To Marathon Pace With Ease!